As a child she hated her father, an authoritarian, tyrannical despot. Aversion to his categorical severity awakened her longing for freedom and self-determination at an early age and stirred her sympathy with the oppressed and exploited. She was supported in this by her liberal, well-read mother. As an adolescent Margarete Buber-Neumann was politicized during the First World War; she came to the Socialist Youth League by way of the German youth movement and gradually absorbed Communist ideas, dreaming like many young Communists of liberation from exploitative capitalism through world revolution. 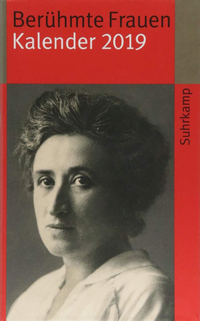 After completing her teaching certification she worked briefly as a teacher oriented toward progressive pedagogical reform, but soon began devoting herself exclusively to work in the underground on behalf of the German Communist Party. Here she met and married the equally idealistic Communist Rafael Buber, son of philosopher Martin Buber. This marriage, which ended in 1929, produced two daughters, who initially lived with their mother, then with their paternal grandparents, and who finally, since they were half-Jewish, had to flee to Israel to escape Nazi persecution. Margarete Buber-Neumann maintained loving contact to her daughters throughout her life. As a mother she played a rather unconventional role, since her main interest was tied to her work for the Communist Party: recruiting workers and employees for Party membership, distributing leaflets, conducting Party educational meetings. Through her work she made the acquaintance of Heinz Neumann. As the representative of the Comintern of Soviet Russia he was directly involved in the revolt of the Cantonese peasants and laborers in China. Neumann, highly educated, intellectually and politically adroit, fascinated her, and she became his collaborator. They married and worked together for the Communist Party in Germany, Spain, and France. Their hopes and ideals gradually faded under the Stalinist dictatorship. Party disagreements, growing anti-Communism, fascism and National Socialism forced them to flee to Moscow in 1933 under false names. There, like many other European émigrés, they lived in Hotel Lux. Nightly arrests of friends suspected of not being loyal to the Party line became ever more frequent, and in 1937 Heinz Neumann was arrested, never to be heard from again. Shortly thereafter Margarete Buber-Neumann was sent for two years to a work-camp in Siberia. In 1940, following the Stalin-Hitler non-aggression pact, she was handed over to the Germans and sent to the concentration camp at Ravensbrück by the Nazis. Here she met Milena Jesenska, and under inhuman conditions a deep friendship developed; later Buber-Neumann would produce a moving memorial to her friend in her book Milena – Kafkas Freundin (Milena – Kafka’s Friend). For seven years Margarete Buber-Neumann was compelled to do hard labor; she suffered hunger, cold, heat, illness, vermin, beatings, weeklong darkness and brutal humiliation. She survived it all. After her liberation in 1945 she never ceased her struggle as a political journalist against inhumanity and dictatorial systems. Buber-Neumann, Margarete. 1976. Die erloschene Flamme: Schicksale meiner Zeit. München/Wien. Buber-Neumann, Margarete. 1990a . Von Potsdam nach Moskau: Stationen eines Irrweges. Frankfurt am Main/Berlin. Buber-Neumann, Margarete. 1990b . Milena: Kafkas Freundin. Frankfurt am Main/Berlin. Buber-Neumann, Margarete. 1992 . Milena, Kafkas Freundin: Ein Lebensbild. Mit einem Nachwort von Gudrun Bouchard. Frankfurt am Main. Buber-Neumann, Margarete. 1993 . Als Gefangene bei Stalin und Hitler: Eine Welt im Dunkel. Frankfurt am Main/Berlin. Duda, Sibylle. 2005. “Du, mein blaues Mädchen: Milena Jesenská (1896-1944) und Margarete Buber-Neumann (1901-1989)”; in: Horsley, Joey & Luise F. Pusch. Hg. 2001. Berühmte Frauenpaare. Frankfurt/M. Suhrkamp TB 3404. S. 222-258. Füllberg-Stolberg, Claus, Martina Jung, Renate Riebe & Martina Scheitenberger. Hg. 1994. 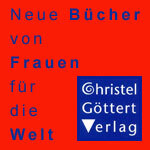 Frauen in Konzentrationslagern. Bergen-Belsen. Ravensbrück. Bremen. Jacobeit, Sigrid. Hg. 1995. “Ich grüße Euch als freier Mensch”. Quellenedition zur Befreiung des Frauen-Konzentrationslagers Ravensbrück im April 1945. Fürstenberg. Klier, Freya. 1994. Die Kaninchen von Ravensbrück: Medizinische Versuche an Frauen in der NS-Zeit. München. Platten, Janine und Judith Buber Agassi. Hg. 1999. Margarete Buber-Neumann: Plädoyer für Freiheit und Menschlichkeit. Vorträge aus 35 Jahren. Berlin. Tillion, Germaine. 1998 . Frauenkonzentrationslager Ravensbrück. Lüneburg. Aus dem Frz. von Barbara Glaßmann. Wagnerová, Alena. 1994b. Milena Jesenská: “Alle meine Artikel sind Liebesbriefe”. Biographie. Mannheim. Walz, Loretta. 1999. Erinnern an Ravensbrück. Berlin. This FemBiography has been sponsored by Dr. Sibylle Duda.